Home / News and Events / News / Professor Robert Meister's chapter on "Liquidity"
Professor Robert Meister of the History of Consciousness contributed chapter entitled "Liquidity" to Derivatives and the Wealth of Societies (University of Chicago Press, November 2016) edited by Benjamin Lee and Randy Martin. Derivatives were responsible for one of the worst financial meltdowns in history, one from which we have not yet fully recovered. However, they are likewise capable of generating some of the most incredible wealth we have ever seen. This book asks how we might ensure the latter while avoiding the former. Looking past the usual arguments for the regulation or abolition of derivative finance, it asks a more probing question: what kinds of social institutions and policies would we need to put in place to both avail ourselves of the derivative’s wealth production and make sure that production benefits all of us? 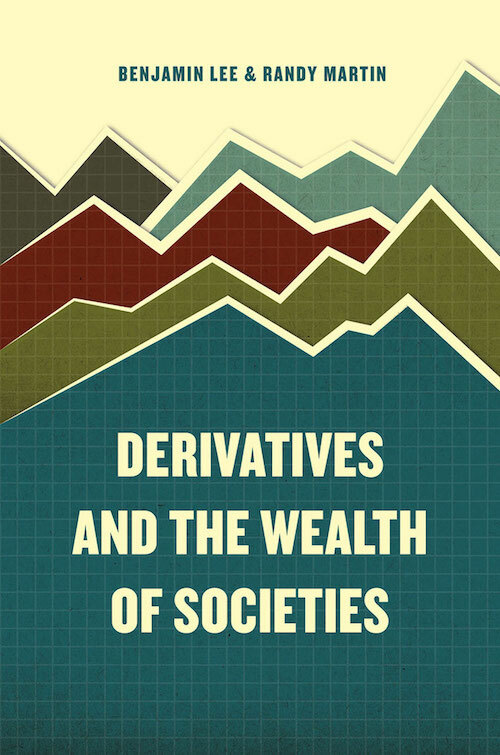 To answer that question, the contributors to this book draw upon their deep backgrounds in finance, social science, art, and the humanities to create a new way of understanding derivative finance that does justice to its social and cultural dimensions. They offer a two-pronged analysis. First, they develop a social understanding of the derivative that casts it in the light of anthropological concepts such as the gift, ritual, play, dividuality, and performativity. Second, they develop a derivative understanding of the social, using financial concepts such as risk, hedging, optionality, and arbitrage to uncover new dimensions of contemporary social reality. In doing so, they construct a necessary, renewed vision of derivative finance as a deeply embedded aspect not just of our economics but our culture.